Ashley and her team help clients see spaces in ways they never thought possible. Her design projects encompass a variety of styles incorporating traditional, transitional and American Contemporary for home interiors, offices and outdoor living and entertaining spaces. Her depth of creativity, and attention to detail instill confidence and assurance for clients. When working with Ashley, you can expect to: -Cultivate a relationship built on respect with a desire to exceed expectations -Work with the client to develop a budget that makes sense for their needs -Collaborate on ideas, needs and function for targeted spaces -Reflect the client’s taste, bringing beauty and balance to every room -Deadline-driven Ashley brings a keen eye for flawlessly mixing and juxtaposing color, texture and styles with a focus on function. Known for her calm nature and ability to cultivate the individual style of her clients, Ashley’s projects always yield balanced, unique and beautiful spaces. English & Portuguese Spoken - - Inglês e Português :.. VACATION HOME INTERIOR DESIGN: We offer a full range of personal services, custom tailored to meet your needs and desires. We're here to help you with everything from delivery coordination to complete turn-key furniture/decoration packages. Some of our clients enjoy shopping for their furniture. If this is your preference, we can accompany you as you shop, assist you in creating a beautiful design and coordinate your deliveries. Other clients prefer a more hands-off approach. In this case, we can handle every furnishing and decorating detail needed to have your house 100% ready to rent. We will create a customized, stylish and functional package that meets your budgetary and functional needs. You've made a significant investment in your home. Let us add the finishing touches that will make your clients happy and bring you the repeat business and recommendations you're looking for. “We help our clients achieve the goals that are important to them. We strive for comfortable guests that become repeat customers and recommend your house to their friends upon their return home. We want them to feel as if they are returning to their home every time they visit Orlando”. Please feel free to call me directly or send me a message to discuss your upcoming project.. I would be very happy to assist you! ~ Eveli. PRIVATE HOMES: Designing and decorating a private home is a much more personal and intimate experience. Where rental home are made to appeal to a wide range a clientele, a private home is a reflection of you as an individual person and/or family. Our goal is not to dictate a design but rather help you achieve the perfect design for you. We offer as little or as much personal assistance as you feel you need. Designing and decorating your home should be a fun and exciting experience! A good home design professional will hone your style down to its very essence and be able to choose a functional layout that feels natural to you. Interior design companies can be involved as much or as little as the client desires. 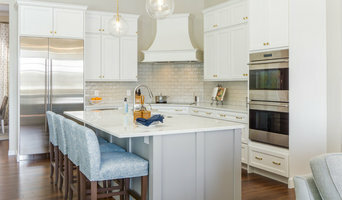 Many clients who hire an interior decorator in Sky Lake, FL — particularly those who are remodeling — have a good sense of how the room should look and what products they should use. Often clients will insist that interior decorators use the products already present in the house. Other times a designer will need to start from scratch — especially if this is a newly purchased or just-built home. An interior design company will need to figure out exactly what the client needs, which includes organizing rooms, picking flooring and wall colors, and finding furniture to complement it all. 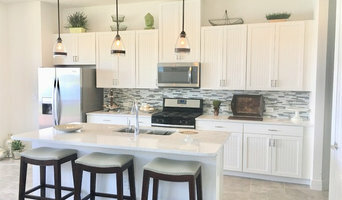 Sometimes that means he or she will have to recruit help from other Sky Lake, FL home professionals to help create the perfect look for your renovation. Here are some related professionals and vendors to complement the work of interior designers & decorators: Architects & Building Designers, General Contractors, Home Builders, Design-Build Firms, Photographers. Do your research before meeting with an interior designer or home decorator in Sky Lake, FL. Ask yourself what you want your space to become and what it will be used for. Figure out the extent of what you need help with, what your must-haves are and what your budget is. Interior design services can add up fast, so be up front with a potential design firm or individual from the beginning. Also, pick an interior decorator that fits your style. Browse through the portfolios of different Sky Lake interior design firms and decide if you would live in those houses. Just because you like something doesn’t mean you could live in it. There's a big difference! Find an interior designer or home decorator in Sky Lake, FL on Houzz. Narrow your search in the Professionals section to find Sky Lake interior designers near you. You can also look through Sky Lake, FL photos to find a room you like, then contact the design firm who designed it.